Which Farm Apps Should I Download? Where do you stand on modern technology? Is it a bit overwhelming? Maybe a bit intimidating and silly? Is it exhilarating? Does the concept of having the world at your fingertips bring a whole new meaning? Let’s face it, the way we do things is ever changing. Farming practices evolve from one generation to the next. Five years ago, would you ever have fathomed a robotic lawn mower? Now you can let the robot do the work, while you watch from the window. How about robotic equipment so you don’t even have to be in the tractor anymore? Whether or not you believe in these robotic systems, we do believe technology is important for many reasons. If used in the right way, technology could lead to greater yields and profitability. If anything, it may help the day-to-day operations of one’s operation run smoother. Ag Weed ID — From the experts at Penton Farm Progress Group, Ag Weed ID is an in-hand tool to help producers identify weeds while scouting in 6 major row crops including corn, cotton, rice, sorghum, soybeans, and wheat. The database is filled with a wealth of information and images for about 75 of the most difficult weeds and allows you to search by crop, season, and location so that one could get immediate information when needed. If you’re really stumped, take a picture of the weed with the app’s camera integration feature to identify at a more convenient time. You can then bookmark weeds to reference later or share them with your weed scientist to acquire more information. 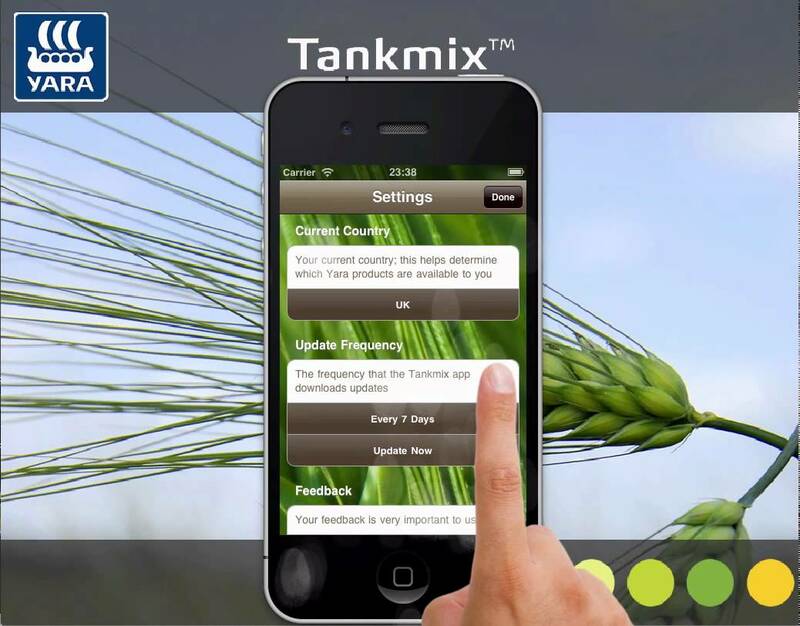 Please note that even though this app only works on 6 major row crops, there are additional crops in the pipeline. 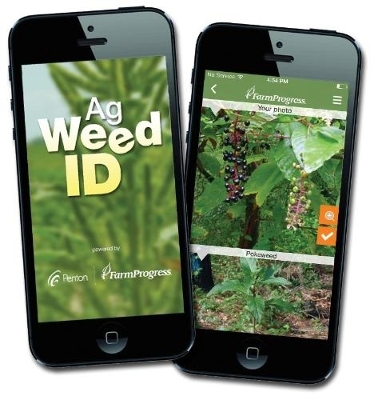 Ag Weed ID can be downloaded to Apple devices here and Android devices here. Units Plus — Do you often find yourself stumped when converting units of measurement from one unit to another? If so, those days may be over. With a single swipe on your mobile device (shown in the right-hand photo) you can now automatically convert units of measurement from the Units Plus app. It measures area, currency, data, fuel-mileage, length, power, pressure, speed, temperature, time, volume, and weight. Units Plus can be downloaded to Apple devices here and Android devices here. Brownfield Mobile — This app delivers the latest agriculture news headlines and markets, as well as live weather radar right to your mobile device (as displayed in right-hand photo). It features mobile-only audio reports for livestock, commodities, and news, as well as up-to-the-minute markets and weather. Markets including 5-8 active trading months for commodities. Brownfield Mobile can be downloaded on Apple devices here and Android devices here. Yara CheckIT — You’re scouting fields and see a plant that isn’t quite right. Yet, you can’t figure out what is wrong with it. Then you pull out Yara CheckIT and now you know. This agricultural smartphone app provides farmers with numerous pictures of various nutrient deficient crops allowing for fast identification of possible deficiencies. Once the cause of the deficiency is established, the app gives further information on how it could affect the crop, what soil types are prone to this type of deficiency, and what factors could make it worse. CheckIT provides a fertilizer recommendation to treat the identified deficiency, as well as alternative products for protection purposes. The app is customized and localized on a market by market basis, for the crops and language specific to the target country, and has been carefully designed to operate in rural locations with low signal strength. Therefore, farmers can have on-the-spot, on-demand field analysis and recommendations for a crop deficiency in order to improve crop quality and increase yield. Users can reference photos of deficiencies in high definition, filter them by symptoms, the location of the symptom on the crop, or by the suspected cause of the symptom. Yara CheckIT can be downloaded to both Apple and Android devices here. GoBale — This app was developed with those running diversified operations in mind. Created by the professionals at John Deere, GoBale is customized for 9 Series balers. It provides a quick reference overview of key adjustments, maintenance, and procedures as it guides users through proper machine and monitor setup and in-field procedures. This app can be downloaded on Apple devices here and Android devices here. Reblogged this on Peppermint Acres.